How bad must Malinda Warnapura be feeling? To get a Test golden duck is bad enough, but a golden duck on deboo, as Richie would say, against Bangladesh on a featherbed when your partner gets a ton must be crushing. He’s unlikely to bat again in this match and may not get another innings if Upul Tharanga returns from injury. The only other deboo goldie I can remember was Alan Wells in 1995, caught Sherwin Campbell, bowled Curtly Ambrose. Again, most other batsmen did well on that track, including two hundreds (Lara and Hooper) and six others who made it to 80 and didn’t convert (four were out in the nervous 90s). Wells did at least make an unbeaten 3 in the second innings, but that was his lot. I’m sure there were others? Â© Getty ImagesModern Test batsmen talk long and hard about â€˜playing for the ladsâ€™, belittling their own efforts as part of a team collective, which is all very commendable and, of course, a load of old baloney. The best batsmen are selfish and will, more often than not, bat for themselves, which is fair enough. And while they wouldnâ€™t ever wish misfortune on their team-mates, the very best Test innings usually demand that most of the â€˜ladsâ€™ get out cheaply, while our hero achieves team glory almost single-handedly. With this in mind, I was trying to think this morning of the best innings in recent memory, where the successful batsman must have stood at the crease during his knock in the second innings thinking, â€œif Iâ€™m out, thatâ€™s itâ€. Laxman and Dravid against the Aussies at Eden Park in 2001 was a great example of one more wicket and itâ€™s over; as was Athersâ€™ 185 at Joâ€™burg in 1996; or even Mahela Jayawardeneâ€™s hundred at Lordsâ€™ last year. The problem with being an Aussie batsman is that there is usually at least one other who makes runs too, but Pontingâ€™s rear-guard 156 at Old Trafford in 2005 stands out. I am sure there are many others, not least by Adam Gilchrist, although did they ever avert certain defeat? My favourite for sheer excitement was Laraâ€™s unbeaten 153 to beat the Aussies at Bridgetown in 1999. If Shiv Chanderpaul goes on to score 160 to win today, will that be even better? Agreed, Harmison and Plunkett are not McGrath, Gillespie and Warne. And there won’t be the same swash-buckling bravado. Besides, he hasnâ€™t done it yet! But could anyone begrudge the West Indies this moment? Tis the season of resignations but I’m slightly surprised that he’s not staying on for the Tests this summer. I suppose there’s only so much one man can burden; his shoulders must be aching after a decade digging West Indies out of a mess (often digging in vain). What a complete and utter privilege it’s been, though, watching his career. Yes, it’s been bitter-sweet as an England fan in particular – the 375 will live with me forever; the 400 less so. But few sporting figures in a spectator’s lifetime directly influence their enjoyment of the game. They are rare, and Lara was unique; West Indies were a one-man team with depressing regularity. Has any player been so burdened by the weight of expectation? Richard Hadlee was one, Sachin Tendulkar another (but he has had a number of other players, not least Rahul Dravid, bat around him). Mike Atherton in the nineties. But Lara, despite his flaws (notably with captaincy), remained near the top right to the end. There were breathless highs and inexplicable lows. He often got out to a Gower-like flash yet he was capable not only of breaking world records but his own world records. Steve Waugh (or was it Mark Taylor?) maintained that the only way to keep the runs from flowing was not to sledge him. Lara loved a fight, a good old-fashioned playground scrap. Deny him a battle, verbal or otherwise, and he was half the man. A bloody legend, that’s what he was. It will have escaped no one’s attention that West Indies are currently level on points with Bangladesh and Ireland, an unacceptable state of affairs in a region that dominated the game for nearly two decades. It’s statement time. Brian Lara is in the final breath of his cricketing career and one might hope that the embattled West Indies could dig a couple specials out to end in a way he might deserve. Bangladesh can foil that and go a long way to secure themselves a final six finish. That would be a grand achievement for the nation. Check the scorecard and leave your thoughts in the comments below. 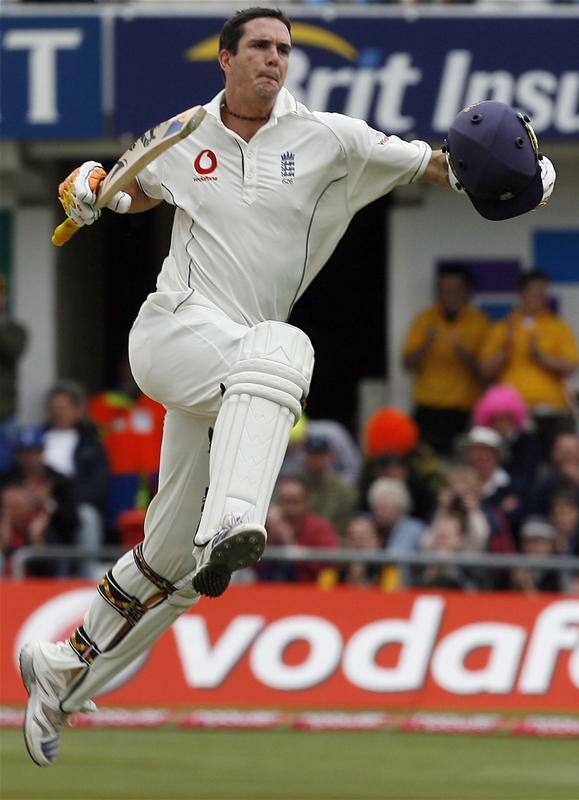 He’s approaching Brian Lara’s record score of 400. After losing Sangakkara for 287, to bring to an end the all-wicket record partnership of 624, Jayawardene has kicked on, to now be 373 not out of Sri Lanka’s 4 for 754. There is still two full days to go for Sri Lanka to go so do not expect a generous declaration anytime soon! Ashwell Prince’s debut Test as South Africa captain is proving to be memorable in more ways then he would like. Update – Top-shelf mozz from the Corridor, as Jayawardene is bowled for 374. Only Lara (twice) and Hayden have scored more. Fascinating Test match at Kingston. West Indies wrapped things up pretty quickly to dismiss India for 171. 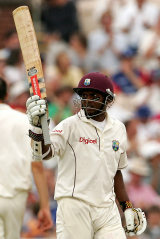 That left Windies 269 but they’ve already lost four – including Brian Lara and Shiv Chanderpaul. All is not lost, as Ramnaresh Sarwan – the guts of the side, as far as I’m concerned; the real bare-knuckled streetfighter – is still there on 43, and they need another 164 to win. One thing’s certain: it won’t be a draw. Money’s on India, but COME ON Windies! Live scorecard. Update: bugger. Sarwan gone for 51.